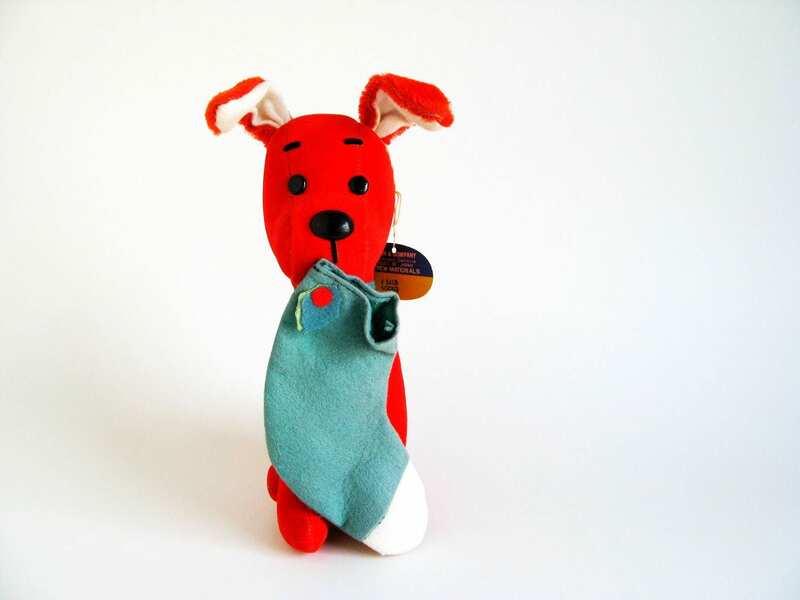 Utterly adorable vintage Dream Pet Dog stuffed animal named Socko. Bright red red body with white under his ears. He is wearing a green dog collar. A string in his mouth holds a pretty green Christmas stocking. His wired ears can be bent into the shape you prefer. Small scuff on his nose but otherwise in very good, gently played with condition. This cute fellow will make a great addition to your Dream Pet collection. He mas probably made in the late 1960s or early 1970s.